Heat up the romance this summer at these couple vacations! Spanning all of North America, lovers can escape to luxurious and elegant resorts in Canada's wilderness, the pristine Pocono Mountains, and California Wine Country. Indulge in spa treatments, sip vintage wines, or get some much-needed alone time. These vacations feature exceptional accommodations, nearby attractions, and breathtaking scenery. No matter what type of romantic retreat you're searching for, these resorts are sure to get the sparks flying this summer! Whether you’re splashing on the beach, or retreating to the spa after a resplendent hike, Tigh-Na-Mara is the natural choice for a romantic retreat! Stay at the Tigh-Na-Mara resort, where you'll make memories that will last a lifetime! Set on 22 acres of gorgeous fir forest rippling across the ocean’s edge, this perfectly located resort offers direct access to three kilometers of dreamy Rathtrevor Beach and the warmest ocean swimming in Canada. There;s just so much to do- in town or in Mother Nature's embrace alike. As long as you're with your sweetheart, whatever you do will be an incredible experience at Tigh-Na-Mara! The Rathtrevor Beach Provincial Park is a must-see! over 300 hectares of majestic trees and beautifully inviting sunsets dazzle into the evening. Go bird watching or salt water swimming for a simple family outing. Couples will find romance around every corner at Cove Haven Entertainment Resorts! Whether it is a candle-lit dinner at the Colosseum Restaurant, or enjoying drinks in the Parrot Lookout Lounge, romance is definitely in the air at Cove Haven Resort, located cozily beside Lake Wallenpaupack. Other amenities include the Harbourside Health Club and Spa, the Sport Palace featuring tennis, ice-skating, and other activities, as well as live nightly entertainment from the country’s hottest performers. The second resort , Paradise Stream, is a contemporary couples hot spot. By day, couples can enjoy a wide range of outdoor activities that include tennis, biking, nature trails, and paddleboat rides. By night, enjoy a five-course dinner and then hit-up the Lounge and Nightclub for after dark entertainment. The luxury suites at Paradise Stream feature private pools and crackling fireplaces. Your third resort option is Pocono Palace – the ultimate couples adventure. 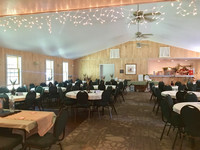 The Pocono Palace features a country club atmosphere, and is definitely the choice for the sporting couple. 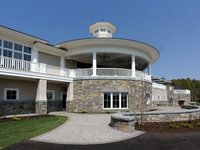 The Poconos premier couples' stay is Cove Haven! There is no lack of activities at The Pocono Palace, which is home to The Arena – 32,000 square foot sports and entertainment center. The Arena gives couples year-round access to activities such as basketball, billiards, tennis, mini golf, and arcade games. The refreshing coastal breeze, stunning ocean views, luxury accommodations, and an assortment of exciting activities come together to bring you the most incredible Maine vacation imaginable. Welcome to the Boothbay Harbor Oceanside Golf Resort, your unforgettable home-away-from-home. You will enjoy a refreshing seaside retreat right on Boothbay Harbor, which offers easy access to a variety of activities. Take a fishing trip, visit historic lighthouses, or simply wander through town and visit the unique shops. This is the perfect place to reconnect with your loved one! While there isn't a full-service spa onsite, Boothbay does offer relaxing massages for its guests. One of the professionally trained massage therapists on staff will be happy to soothe your every ache and knot. Afterwards head over to the sizable hot tub and melt into a puddle of tranquility! Describing itself as "the ultimate Tuscan experience in Northeast Ohio," the Villas at Gervasi Vineyard offer both luxury and relaxation, all wrapped up in a sublimely beautiful wrapper. Gervasi Vineyard is an upscale boutique inn that features six villas. In addition to the villas, there is a rustic farmhouse set on the vineyard with dozens of modern amenities. Take a walk around the grounds and enjoy the beautiful Tuscan-inspired architecture, and count your lucky stars that you chose the Villas at Gervasi Vineyard for your romantic getaway. Visit the Crush House tasting bar to sample a selection of wine varieties. The entire village features geothermal heating and cooling! As a resort aimed exclusively at adults, Footprints is simply ideal for all types of romantic escape! Listen closely, and you'll hear it: silence. No crying children, no squabbling families, just pure tranquility. Make the most of it with your special someone! Whether that's through soaking up the sun on the private beach, kayaking along the shore, or grabbing a nap in a hammock, that's entirely up to you. Biking and hiking are both popular options as well- the point is to get out and enjoy Mother Nature's opulence as much as possible! At the end of the day return to your pristine accommodations for some well earned rest, then wake up and do it all again! Riverside Hot Springs Inn & Spa is an adult-only hotel in the heart of Lava Hot Springs, a charming little Idaho retreat that's perfect for your romantic getaway. Riverside Hot Springs Inn & Spa was built in 1914 and quickly labeled "The Honeymoon Hotel" for its elegance and dreamy atmosphere. Choose from one of their 18 uniquely decorated guest rooms and enjoy amenities such as wireless internet, complimentary breakfast, and 24-hour guest services. While you and your loved one stay at the inn, make sure to indulge in soothing hot mineral baths, get some much-needed massage therapy, and treat yourselves to delicious meals at the onsite Portneuf Grille & Lounge. Located in downtown Lava Hot Springs, Idaho, you and your partner won’t have to go far to find entertainment. Learn about the history of Lava Hot Springs by visiting the South Bannock County Historical Museum, relax in the world famous hot mineral springs, or hike at the nearby Grand Teton National Park. The historical Inn was known to be visited by several famous people including President Theodore Roosevelt. Enjoy the relaxation of the Riversides' hot springs soaking facilities and spa. Located in the lower level of the hotel, their Spa and springs are a delightful way to relax, unwind and rejuvenate. Taboo Resort provides respite for romantic retreats. Whether you're seeking relaxation or exploration, couples will find something to do together. Taboo is a true romantic escape with its intimate five-star dining, natural beauty and immaculately elegant accommodations. Here you and your sweetheart can enjoy a stroll along the shoreline boardwalk, a refreshing spa treatment for two and a leisurely canoe or kayak trip for a blend of nature and modern luxuries. Enjoy a romantic dinner at the Culinary Theater at Elements, where you will delight in beautiful views of Lake Muskoka as you sample gourmet cuisine. For some entertainment, try yoga, a wine tasting, or head to the Fireside pub and enjoy playing a game of pool, shuffle board, darts or cards! Do as much or as little as you desire! Taboo's fine dining restaurant hosts an elegant 100-seat dining room with fantastic views of Lake Muskoka. Meals are prepared daily by their Executive Chef Andrew Dymond and his culinary team. Slip into serenity with tow treatment rooms including, his and her steam rooms and a pre- or post-treatment relaxation area. Set amidst lush gardens and the sparkling shores of Seneca Lake, Geneva On the Lake is New York's premier romantic rendezvous. Modeled after the Villa Lancellotti in Italy, this stately structure gives you the best of both worlds: the exotic charm and beauty of an Italian villa with all the amenities and entertainment you’d expect from a luxury resort in upstate New York. Geneva On The Lake’s packages are a delightful way to begin any romance, with locally-made wines, sunset lake cruises, and an in-suite massage for two. You'll fall for the Whirlpool Suite and its mirrored spa room with whirlpool tub and sparkling crystal chandelier. Geneva On The Lake’s landmark villa, included on the National Register of Historic Places, is home to Italian marble fireplaces, canopy beds and views of the surrounding gardens to complete your picturesque romantic escape. The luxury continues into the Lancellotti Dining Room, where candlelight, live entertainment and delicacies like pan seared duck breast with foie gras create the ultimate romantic dinner for two. Cuddle up in the spacious, two-bedroom Classic Suite, which features a canopied bed, two fireplaces, and balcony with panoramic views. Realize your dream wedding! Geneva On The Lake provides the gourmet cuisine, personal service, friendly hospitality and the coordination needed to make such occasions a joy. Romance abounds at this chic couples' sanctuary! Travaasa Austin is an ideal place for couples to unplug from their lives and reconnect with one another. As a 16-and-up property, this adults-only resort maintains the peace and quite among the beauty and isolation of the Balcones Canyonlands Preserve. Customize your desired romantic retreat at Travaasa Austin! Slip into serenity together at the 11-room Spa at Travaasa Austin goes far beyond pampering and indulgence. Treatments reflect a passion for, and knowledge of, the human body and the ability of plants and essential oils to naturally treat, heal and revitalize. Visit the adjacent infinity pool when you're done. Romance has never been so relaxing! Located in the heart of the Balcones Canyonlands Preserve, Travaasa Destinations lets you truly embrace nature. Enjoy a variety of fun outdoor activities including horseback riding, ziplining, and hiking. Couples will love the array of amenities like a sparkling swimming pool, flat-screen televisions, and a fitness center. Romance and relaxation highlight couples' stays at Solage Calistoga. Private accommodations allow lovers to focus on what's important: each other. Choose any one of a number of couples' treatments at Spa Solage to indulge in the ultimate relaxation together. From couples' massages to a glass of wine under the stars while you soak in the mineral waters of the bathhouse, there are a variety of spa experiences you can enjoy. Spa treatments aren't the only luxuries you can experience together at Solage Calistoga. Stop by the Michelin Star Rated SolBar restaurant for a romantic dinner and sample fare from curried potato and spinach samosa to pan-seared diver scallops escarole. Then, retreat to your private studio or suite for the evening and bask in the unique touches like an in-room Jacuzzi. Spa Solage which features 14 treatment rooms and a menu of soothing treatments, a bathhouse that offers a signature Mudslide treatment, a 130-foot adult pool and hot tub, plus a separate family pool, hot tub, and cabana. Make your wedding dreams come true! Whether you're planning a big event or an intimate ceremony, Solage Calistoga's professional staff will help assist in everything from venues to accommodations to menus! Minnesota's summer Northwoods atmosphere makes it an ideal destination for romance! Discover a charming and historic retreat when you plan your Minnesota vacation at Hanging Horn Lakeside Resort. You and your sweetheart will indulge in a cozy room that is just 30 feet from the shoreline. When you decide to stay in your room for the day, take in that panoramic vista from your window. Or Hike through trails surrounding the resort and take out a canoe to explore the waters. In the evening, enjoy the warmth of a firepit as you curl up beside each other under the stars. Hanging Horn Lakeside Resort is the perfect romantic place to unwind for the week or weekend! Hanging Horn Lakeside Resort's music camp welcomed many talented musicians including Prince in the 1970s! In 1921 Hanging Horn Lakeside Resort was created as a Methodist Assembly Ground. The church was built in 1889 as a place of worship for the Presbyterians settling in Barnum at that time.